Join us Jan 31 & Feb 1 and let us surround you with pure joy! 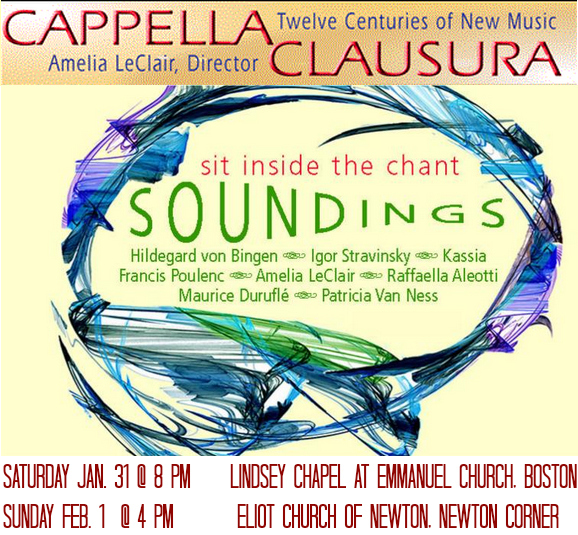 Cappella Clausura presents SOUNDINGS. 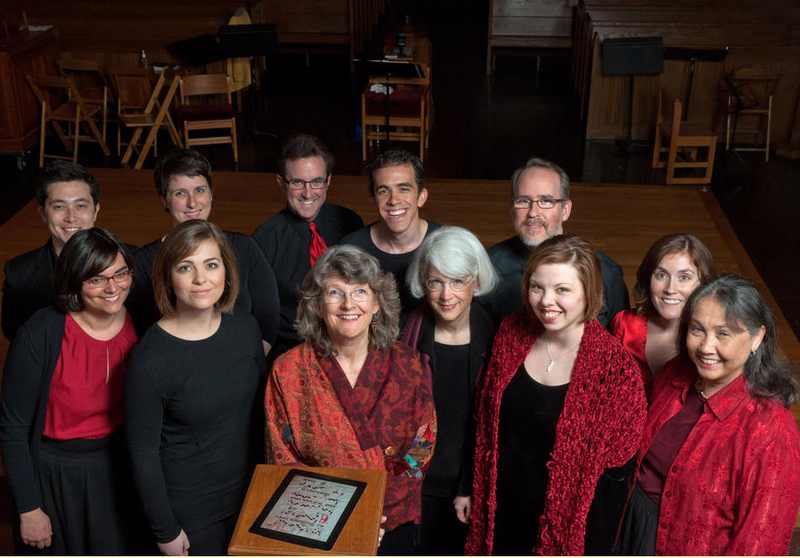 Immerse yourself in sound as our changing constellation of voices and instruments transport you with early chant and the later music it inspired. ˜ Haunting contemporary settings by Patricia Van Ness and Amelia LeClair. Order Now for Best Ticket Prices! Patricia Van Ness, internationally esteemed composer whose pieces will be featured in the SOUNDINGS performances will present a post-concert Talk Back with the audience at the January 31st performance. A New England composer with global recognition, Van Ness draws on medieval and Renaissance elements to create a signature musical voice, both ecstatic and ethereal, ancient and new. Her music is performed and recorded by ensembles such as the Spoleto Festival Orchestra, Chanticleer, Tapestry, The King’s Singers, and Harvard University Choir and has been presented in Rome, Assisi, Maastricht, Austria, Germany, Japan, Hong Kong, Sweden, Latin America, Latvia and Russia.